Foot Levelers has teamed up with OluKai, a recognized brand in comfortable footwear, to offer you the proven support of individually designed functional orthotics. Dress it up or down, the Pehuea Leather feels right for any occasion. 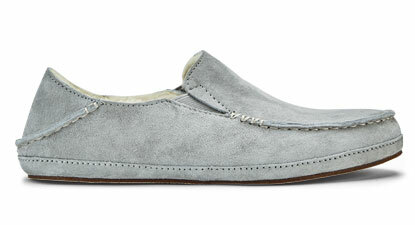 The shoe features an embossed suede outer and microfiber lining. We've paired the Pehuea Leather with a nubuck top cover for ultimate comfort and support. Includes Dynamic Response System. 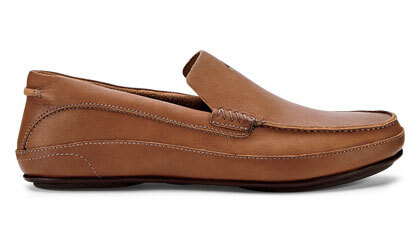 The Kulana is our stamp on sophistication and quality. 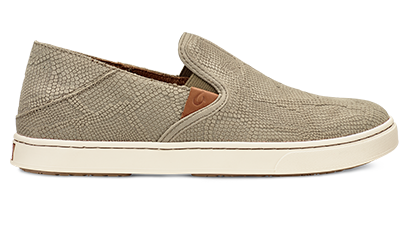 A stylish, island-inspired loafer that effortlessly transitions from boardroom meetings to pau hana cocktails, Kulana is a head-turner with laser-etched detail and premium leather, giving this slip-on a sharp and modern look. Limited Supply. Please call before ordering. 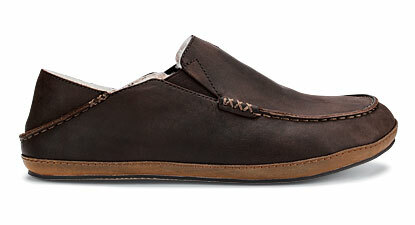 A casual canvas slip-on made with an eye for comfort and laid-back OluKai style, this classic loafer is paired with a brown nubuck top covered functional orthotic for comfort and style no matter where you go. Includes Dynamic Response System. « Back to Orthotic Shoes.